Woodhill Houseis deemed a low-risk building, has no overnight accommodation and effective fire detection. Aberdeenshire Council is seeking to reassure residents that all necessary steps are being taken to ensure the highest standards of safety are adopted in the wake of the Grenfell Fire in London. The move comes at it was revealed the council's headquarters in Woodhill House in Aberdeen does have similar cladding to that of the London tower block. Aberdeenshire Council has no multi-storey residential buildings (deemed to be five storeys or above), and schools of four storeys have been checked and do not contain any cladding panels made of an aluminium composite material (as was present at Grenfell Tower). All other schools are being now being assessed. 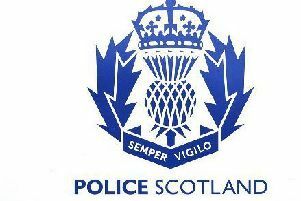 Officers are meeting on a weekly basis to oversee a comprehensive review of safety procedures and an assessment of all buildings across the Aberdeenshire Council estate. This work will verify compliance for fire safety systems, fire risk assessments, as well as a review of external cladding and external wall insulation. * Reviewing the verification arrangements for testing fire alarms and emergency lighting; fire-fighting equipment, electrical, gas appliance and gas supply. * Fire risk assessments will be reviewed and any outstanding actions considered. * Sprinkler systems – of the 61 sheltered housing blocks, 9 currently have sprinklers and a further 12 are planned for future development; this is on the basis of a risk based approach. * Cladding/external wall insulation – architects are reviewing the specification of cladding on all buildings to ensure it is appropriate (this includes schools, care homes, housing). * A similar cladding product to that used on Grenfell Tower is on limited sections at Woodhill House. It is a decorative cladding and contains no insulation. Woodhill House is deemed a low-risk building, has no overnight accommodation and effective fire detection. Leader of the Council, Cllr Jim Gifford said: “I welcome this response from officers, who have put in place a robust plan of prioritising safety checks, from our highest school buildings and council houses, through to care homes and schools which have fewer storeys and undertaking a detailed review of all current testing procedures. Chief Executive Jim Savege added: “I am satisfied that the teams are taking all necessary steps to check our safety procedures are current and appropriate. Councillors will be kept regularly updated on progress.